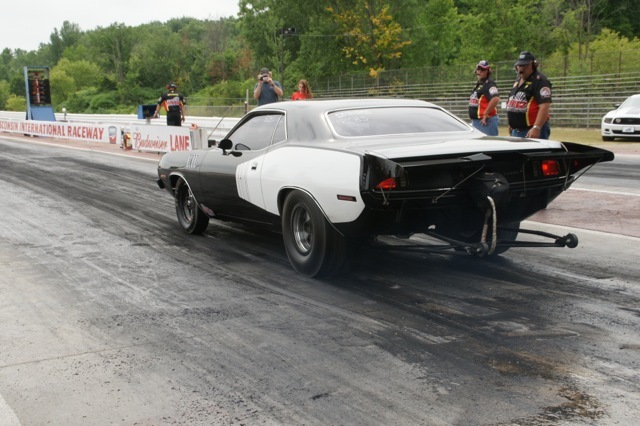 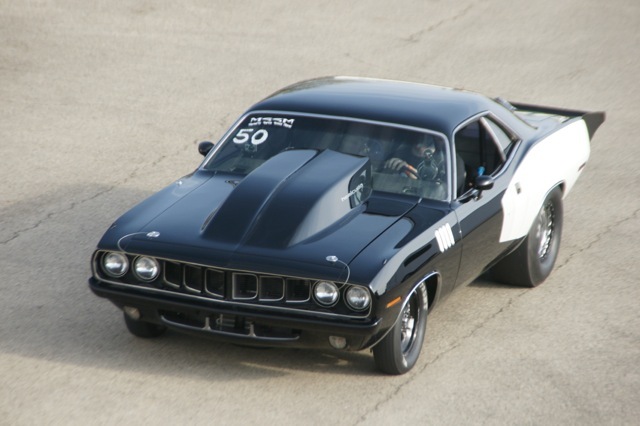 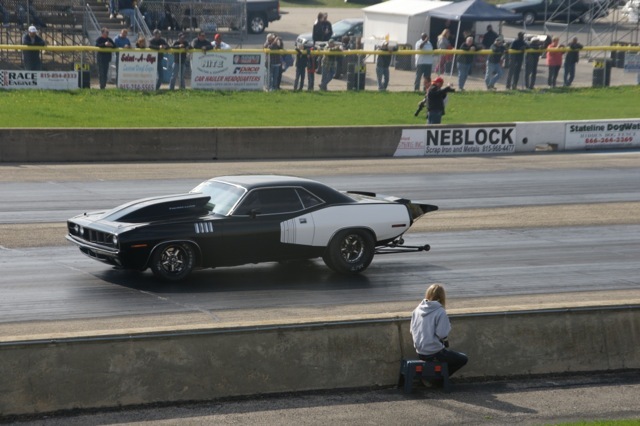 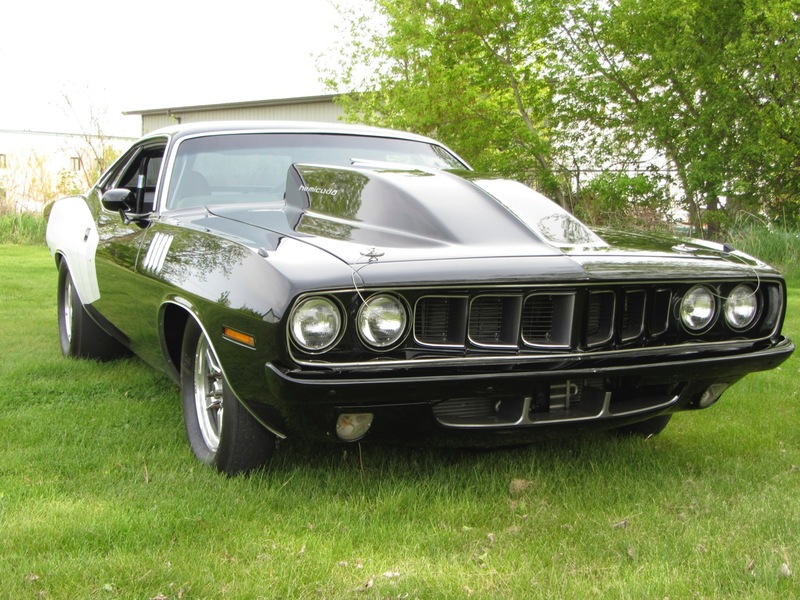 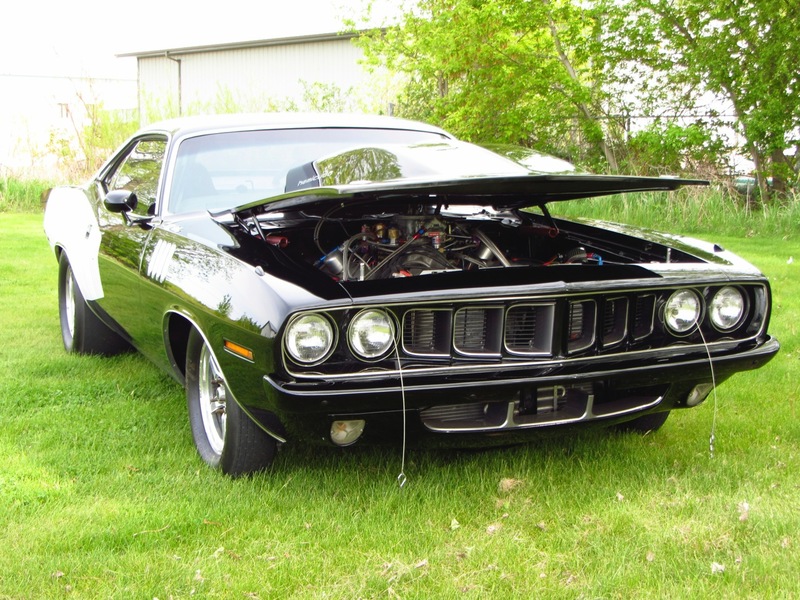 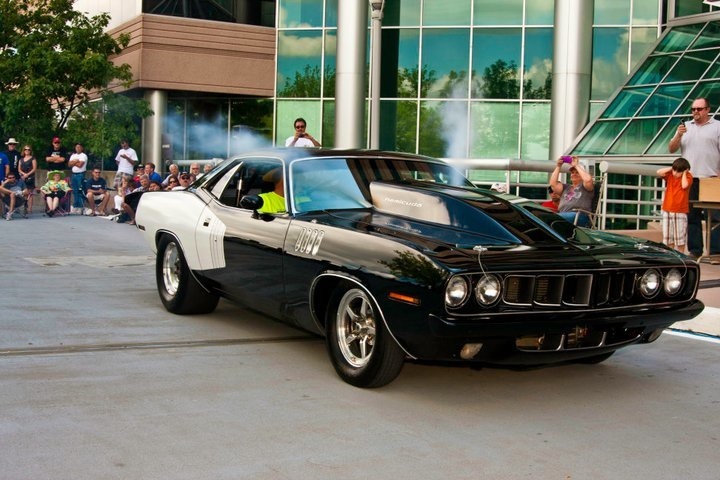 Aaron has owned his BS code cuda for 18 years and became a part of the Midwest Super Stock Mafia in 2014. 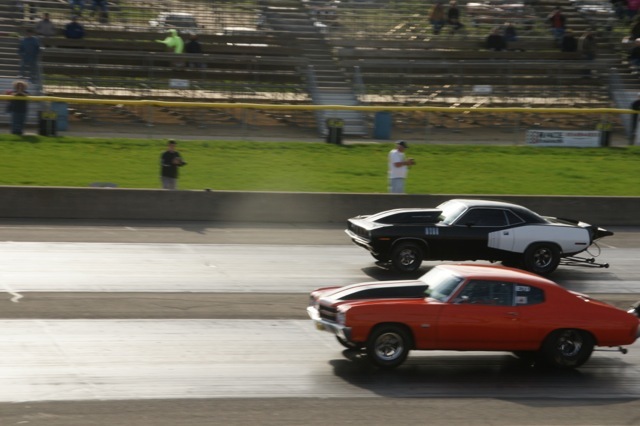 The Mafia consists of a group of great guys with heavy nitrous oxide, supercharged, fun to watch STREET LEGAL and very high HP muscle cars. 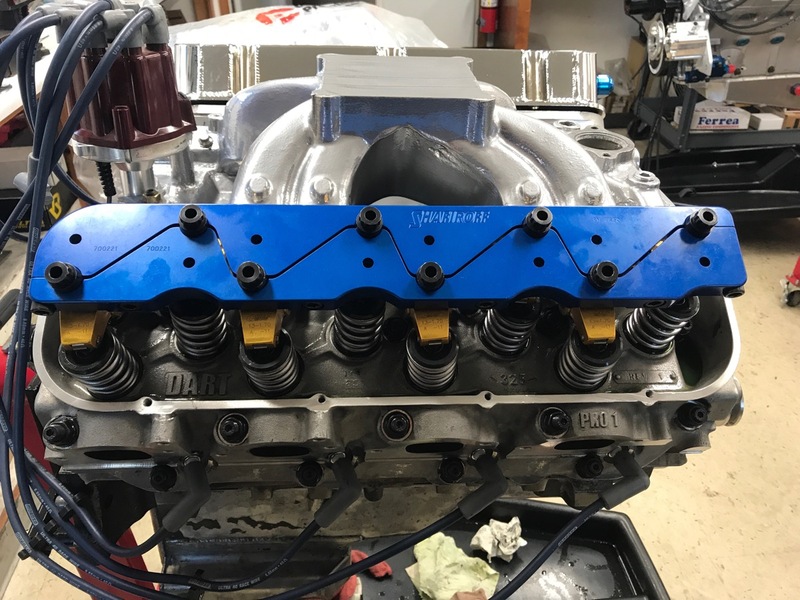 Please feel free to check out their schedule. 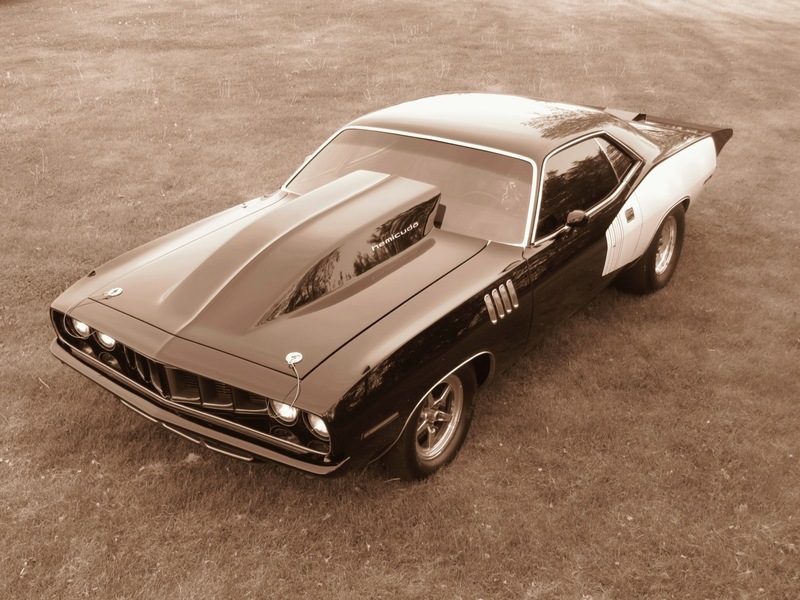 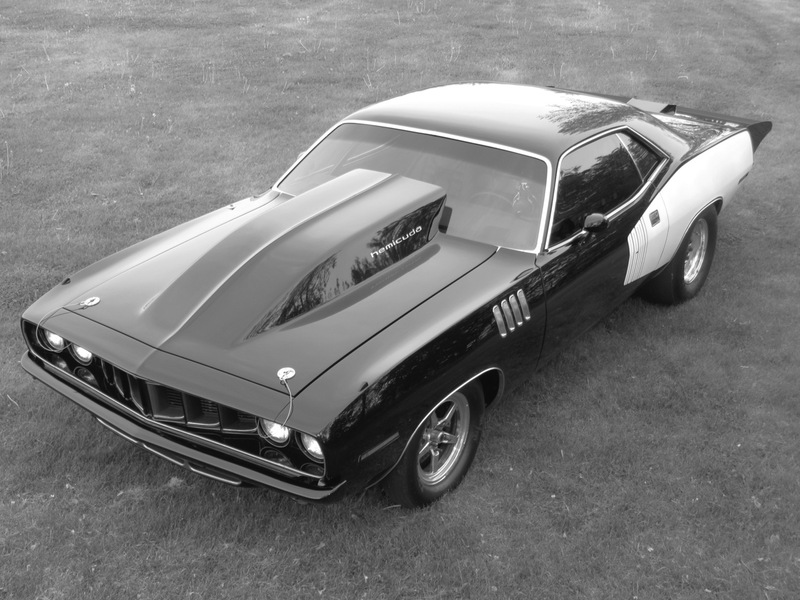 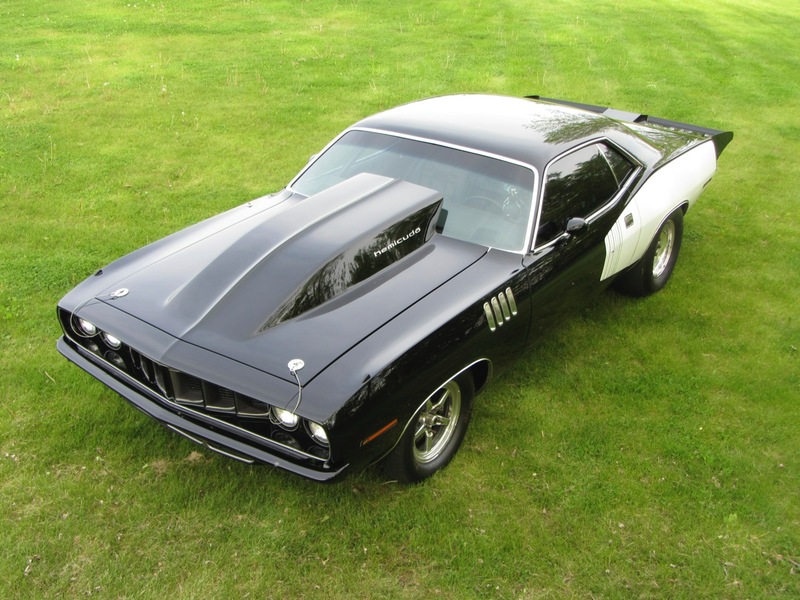 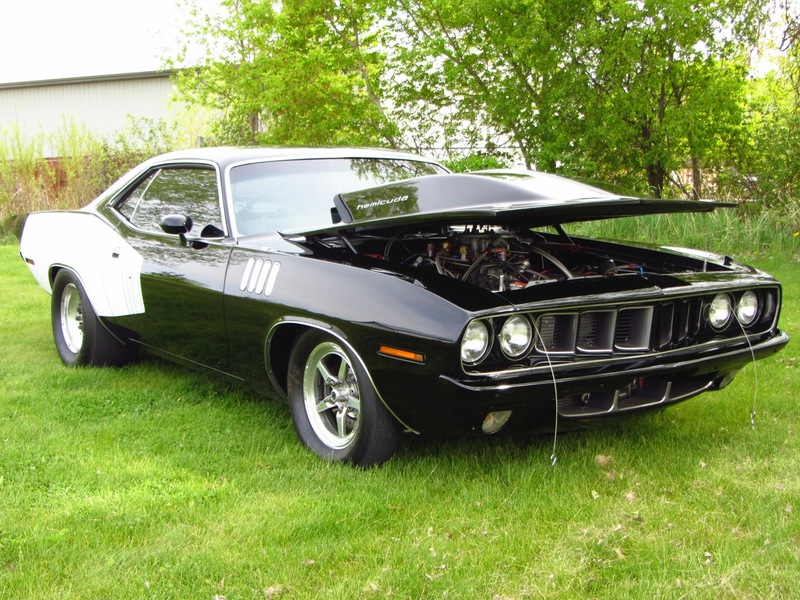 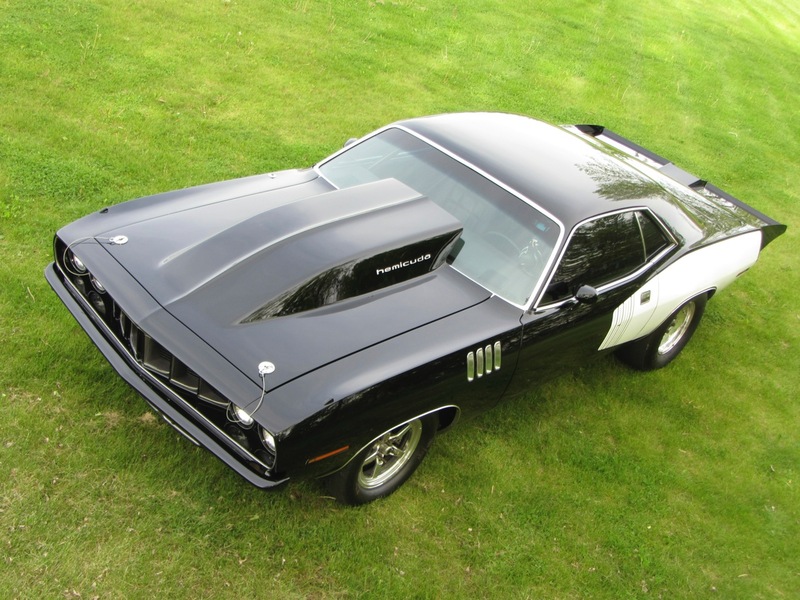 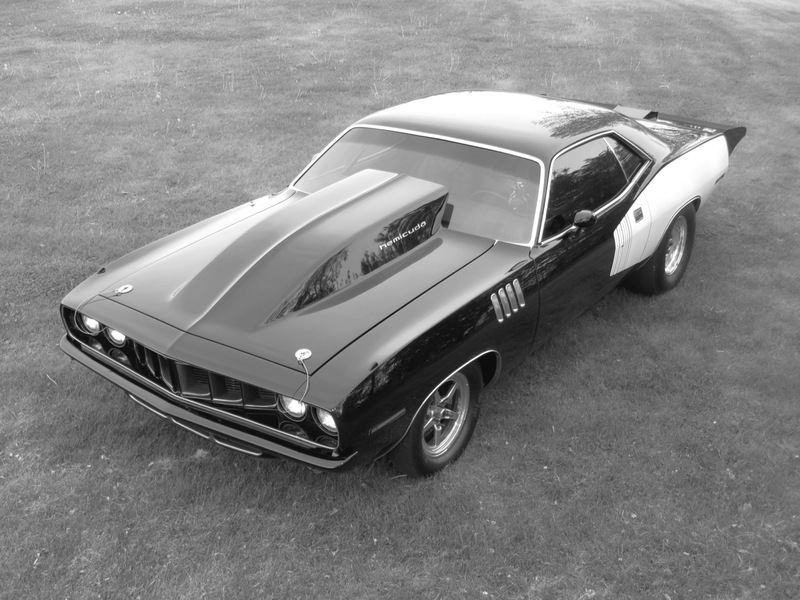 The Cuda started as a 4 speed 340 Citron yellow car and has undergone a major transformation into a 8 second street legal heavy drag car. 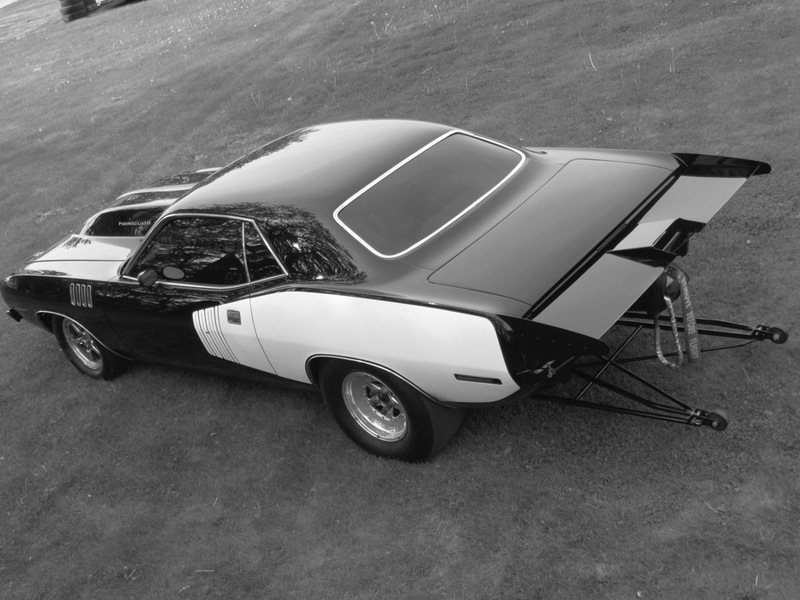 The body was fitted with new quarter skins and full chrome moly roll cage. 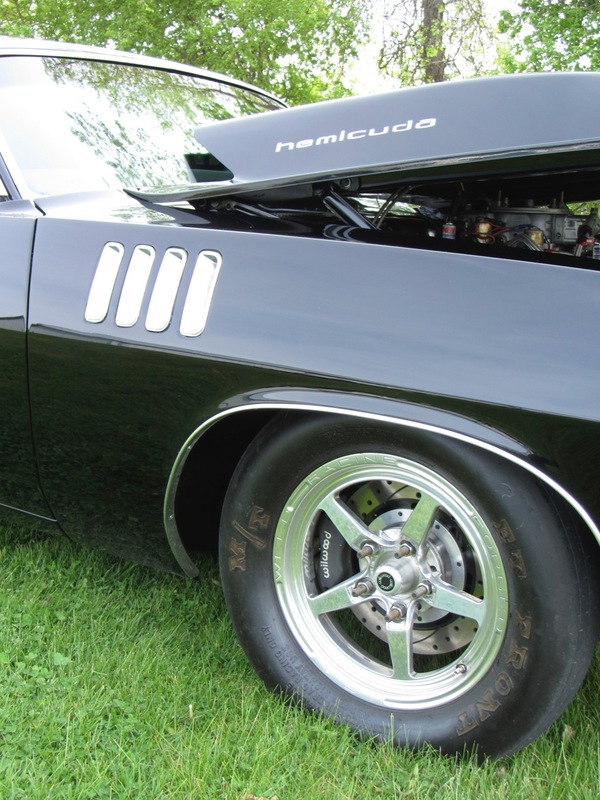 No wheel well alterations were done. 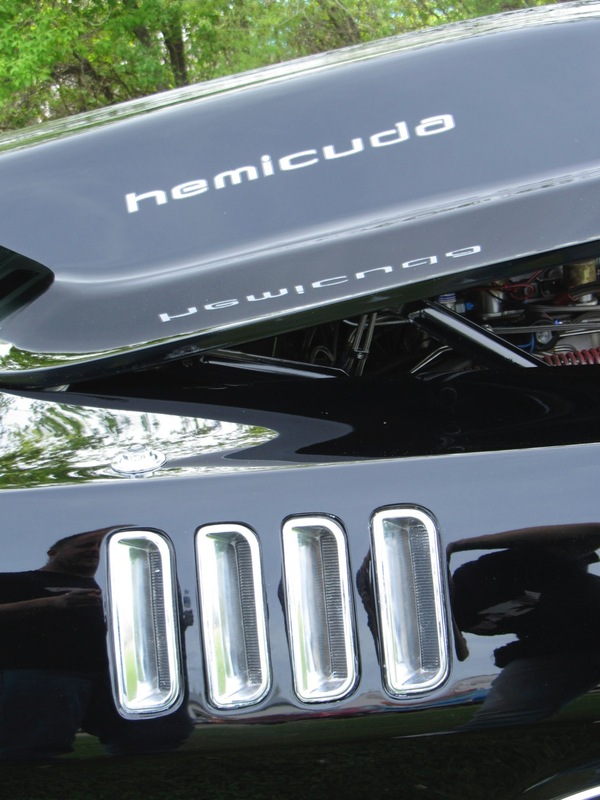 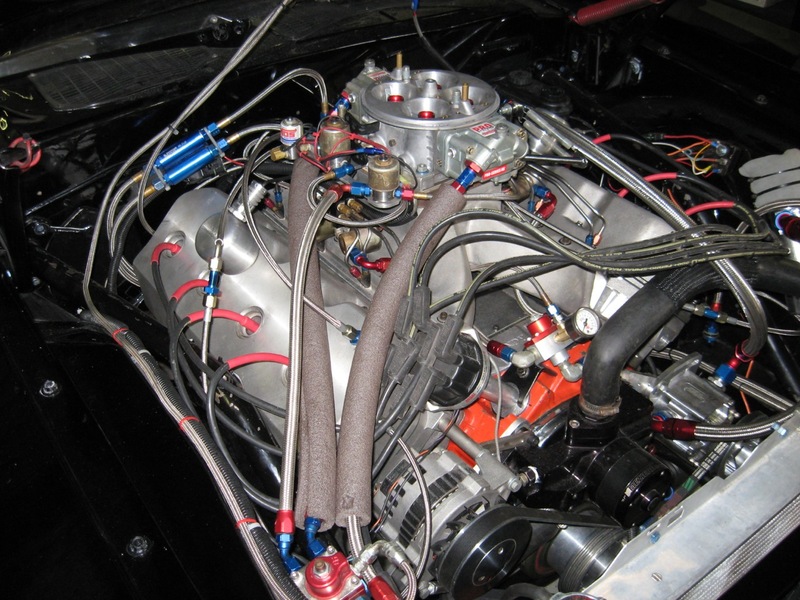 The 500 cubic inch Chrysler hemi makes 930 hp before the 2 stage nitrous system is engaged. 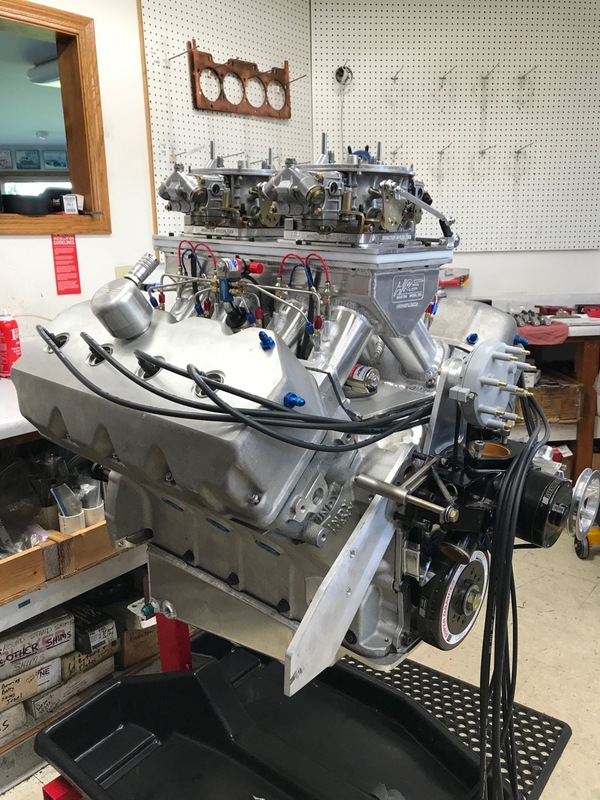 The Dave Baeten prepped transmission is 727 based. 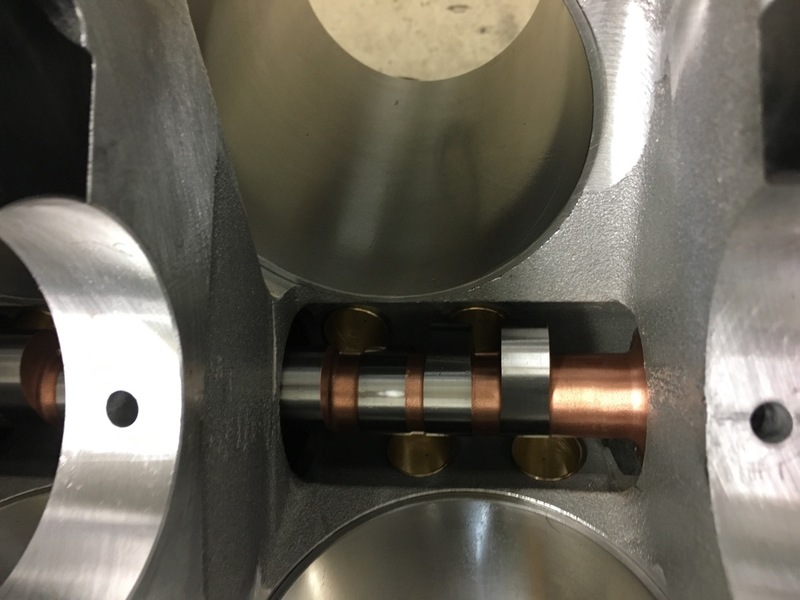 Billet shafts and drums now installed because of a part failure in 2014. 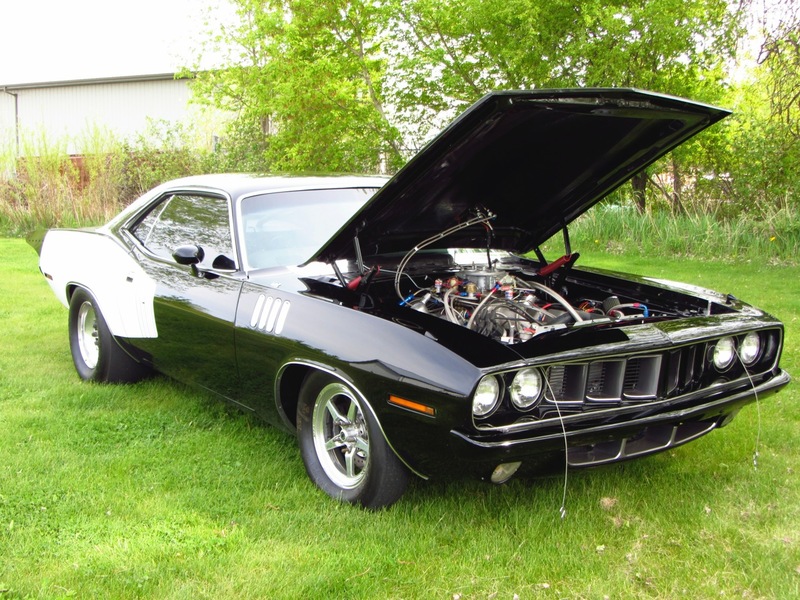 A Coan torque converter transfers power to the ground. 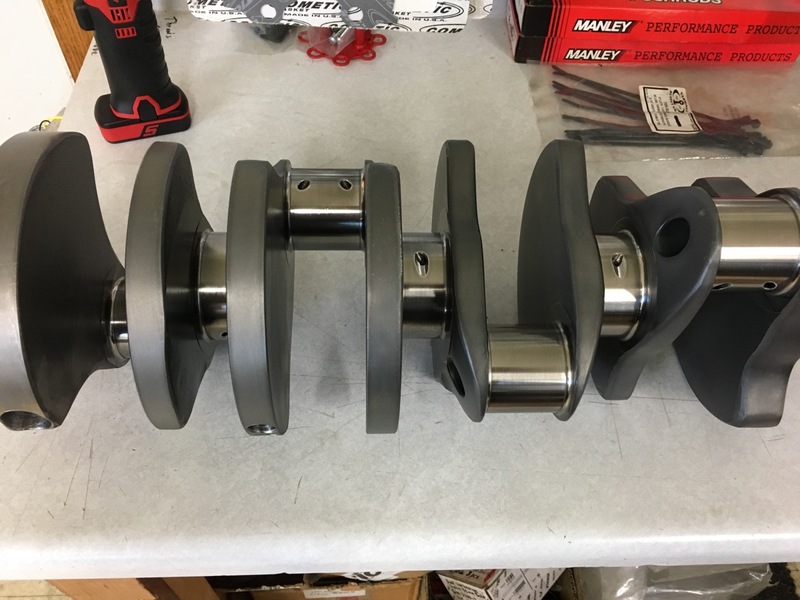 A mark Williams chrome moly drive shaft installed. 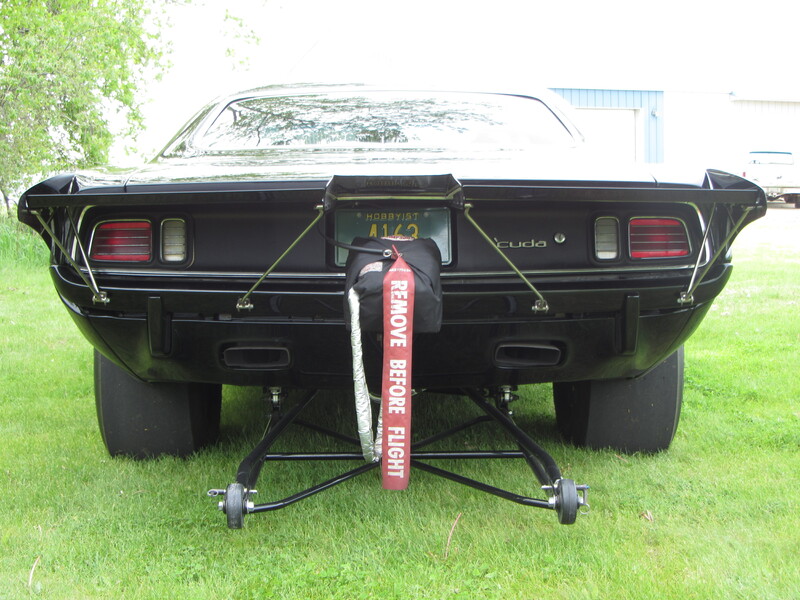 Rear axle is a Dana 60 by moser with a spool and 41 10 gears and is suspended by Quarter Max ladder bars. 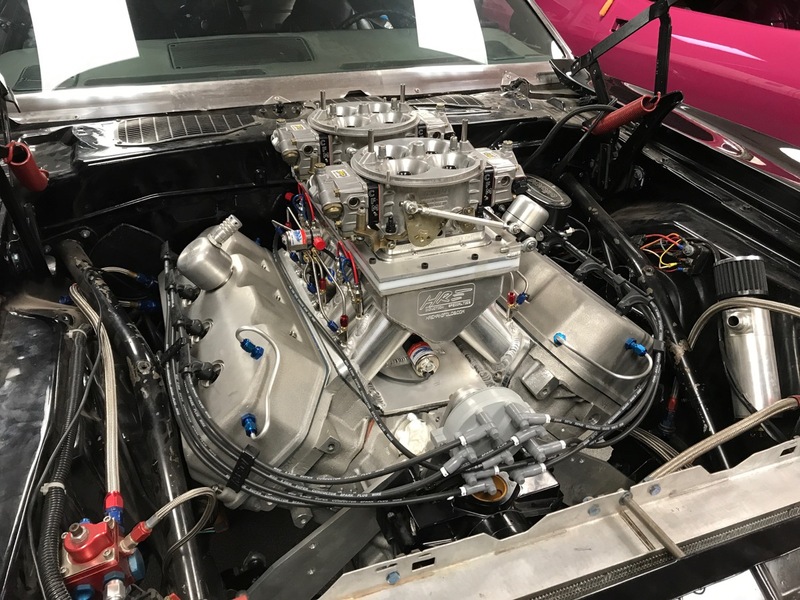 After completion, the car began racing in the NMCA "pro stock devision" with an all aluminum chrysler 477 cu in engine built by Goodwin Competition. 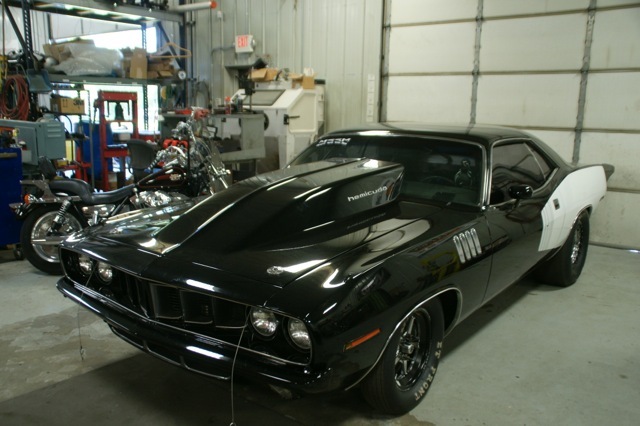 Its first year out it set mph records in its class. 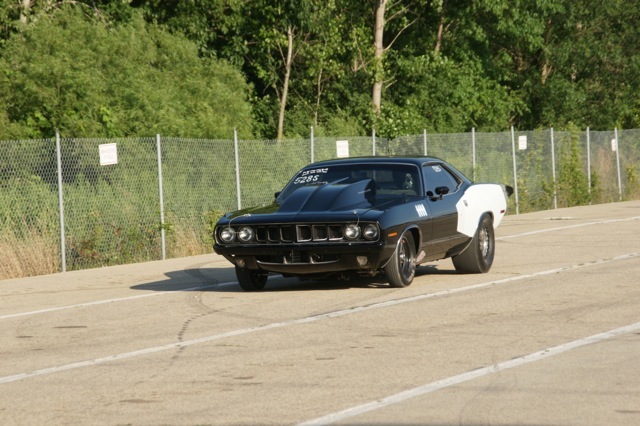 The car fit perfect in the TRUE small tire, non-altered frame and wheel well rules. 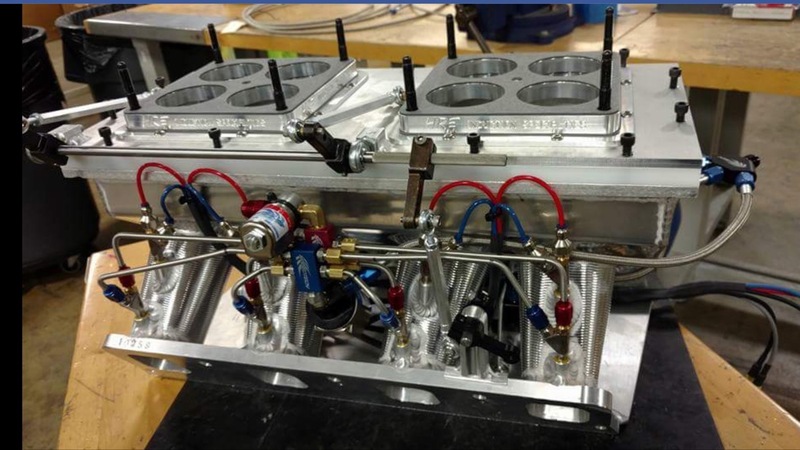 The years invested taught Aaron many things about how the NMCA works and chassis and engine tuning talents. 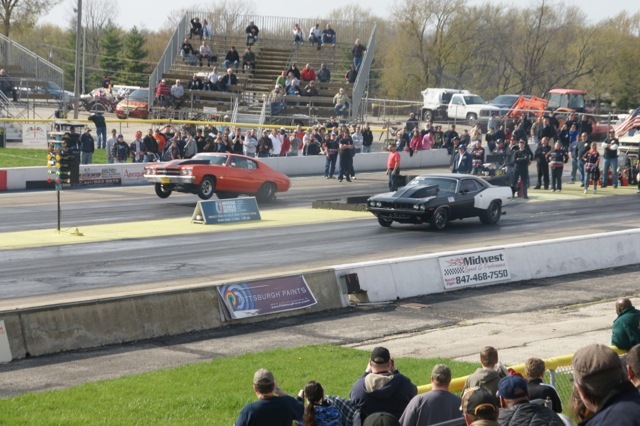 The goal for 2015 is further optimization and all around faster track times. 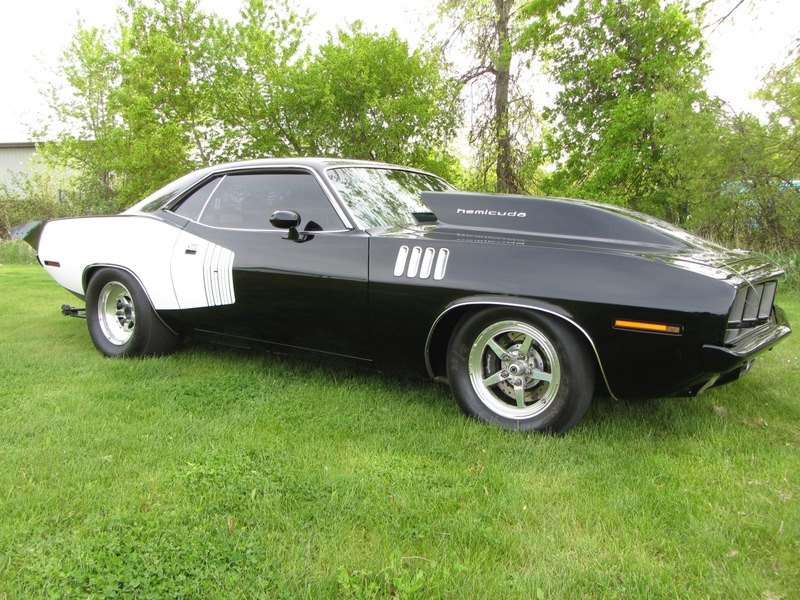 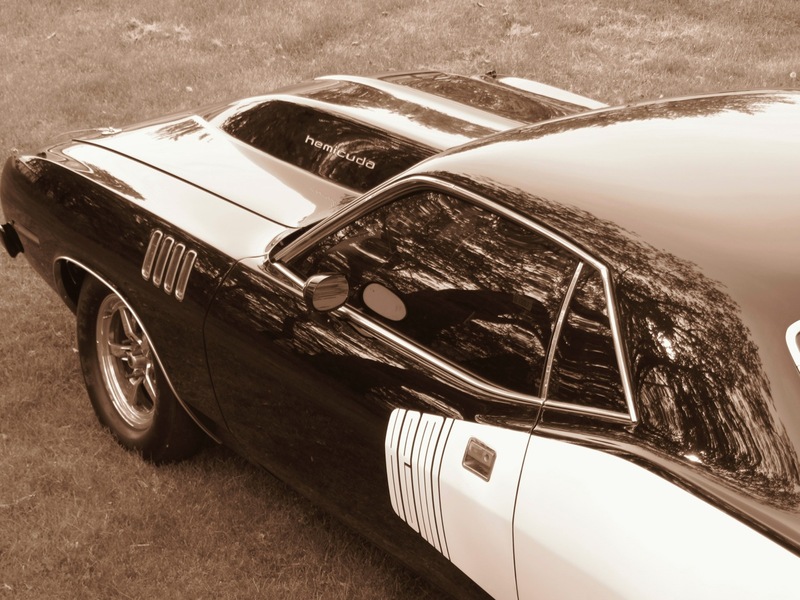 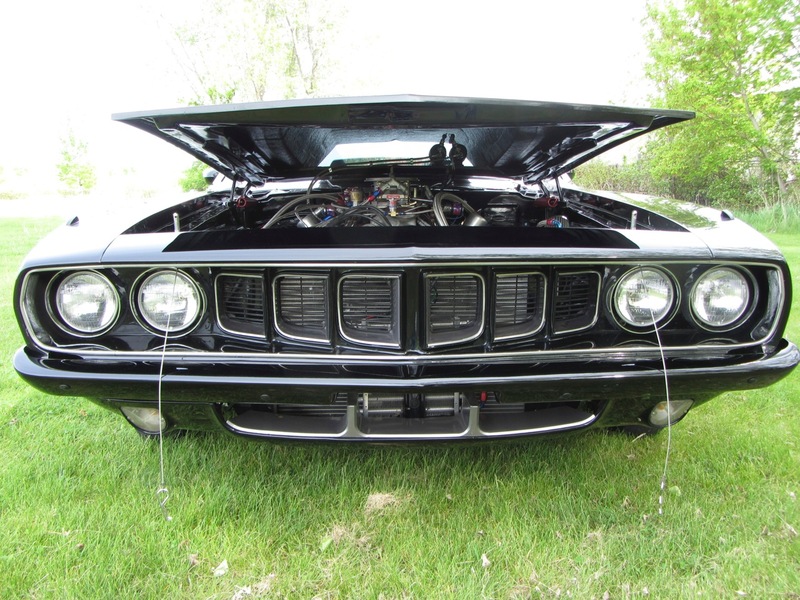 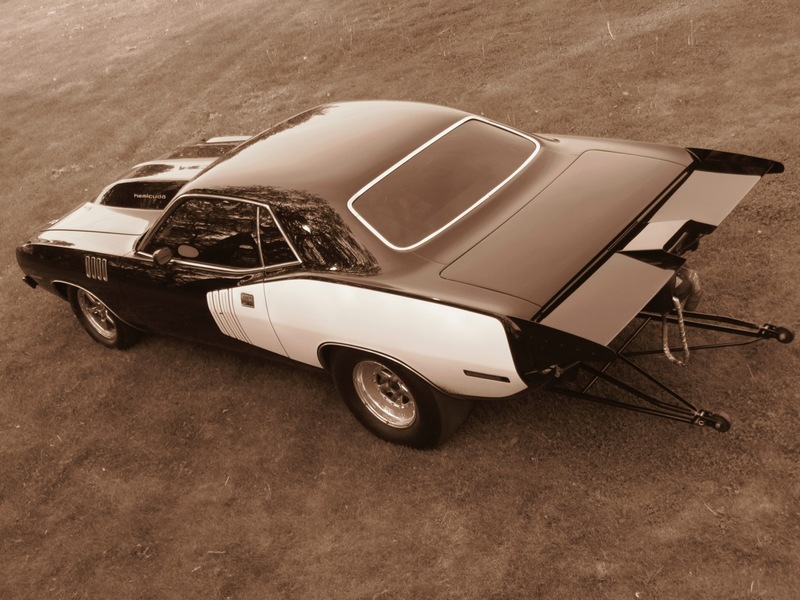 The Cuda will be one to watch as there is untapped potential we are ready to explore. 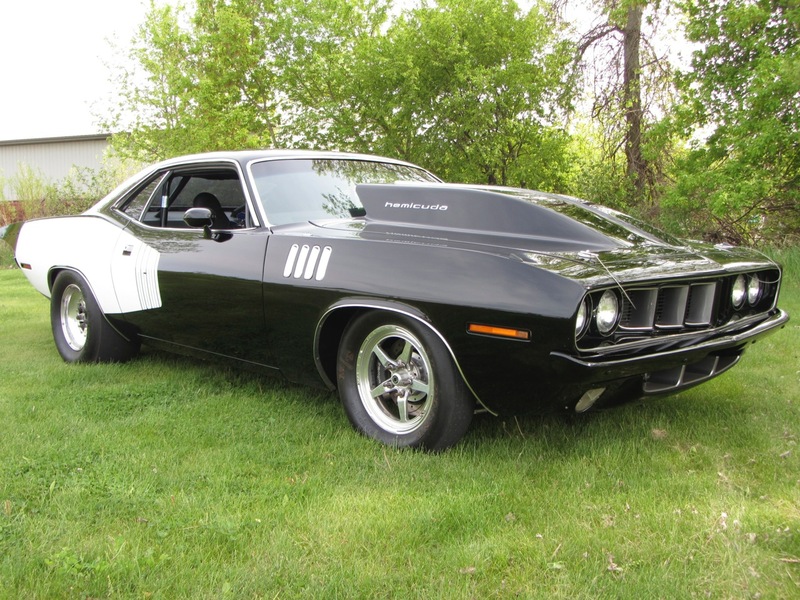 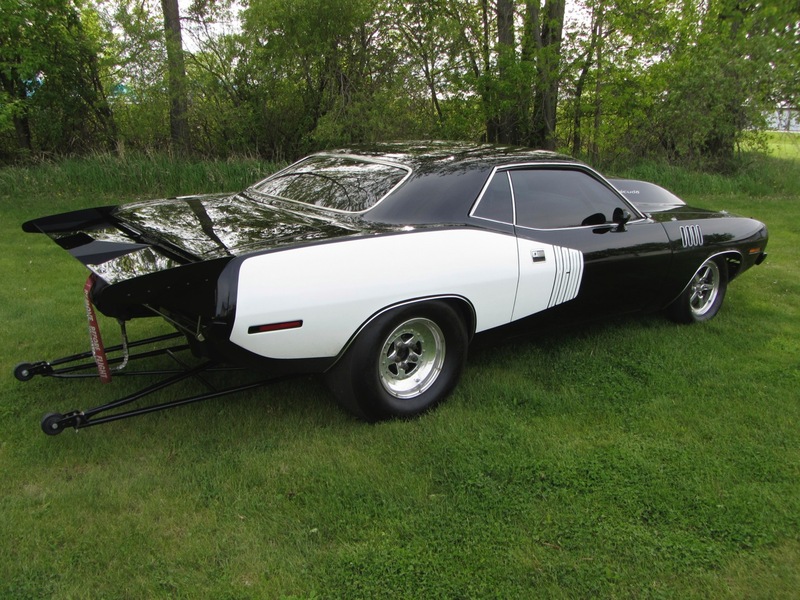 The cuda is a eye catcher wherever she roams. 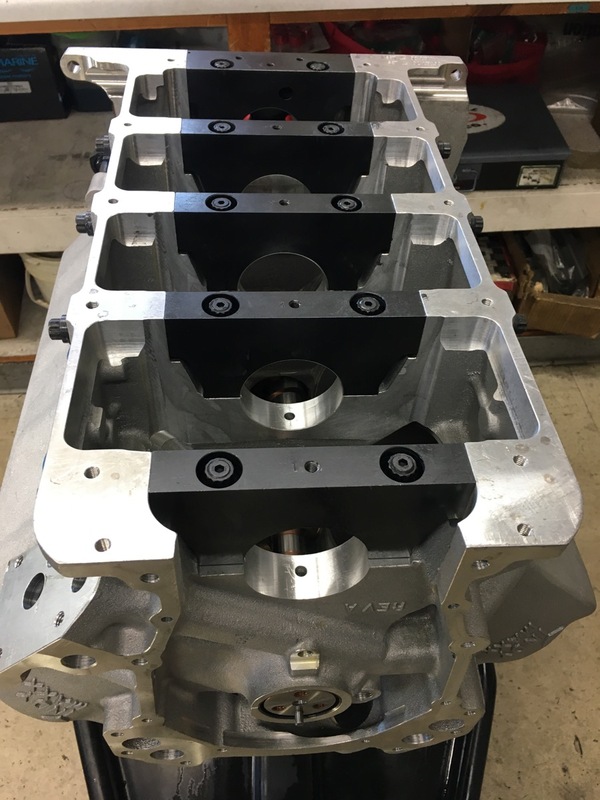 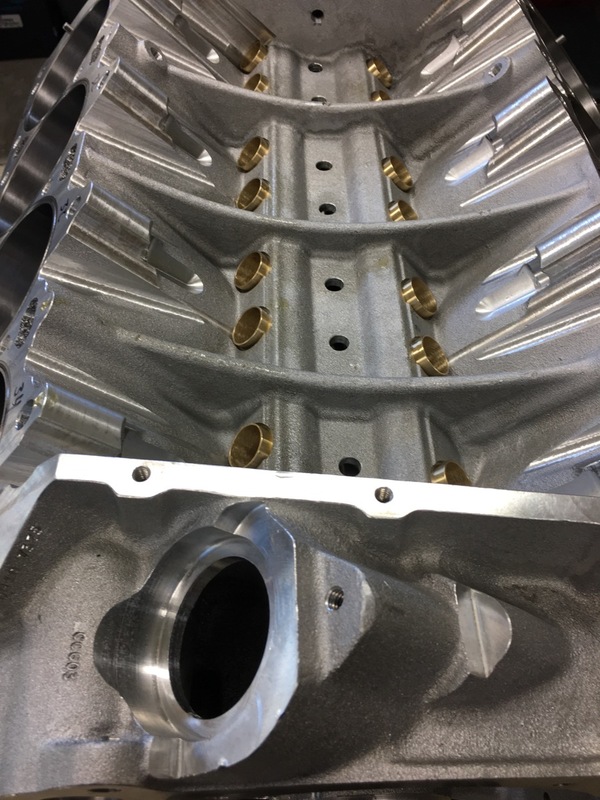 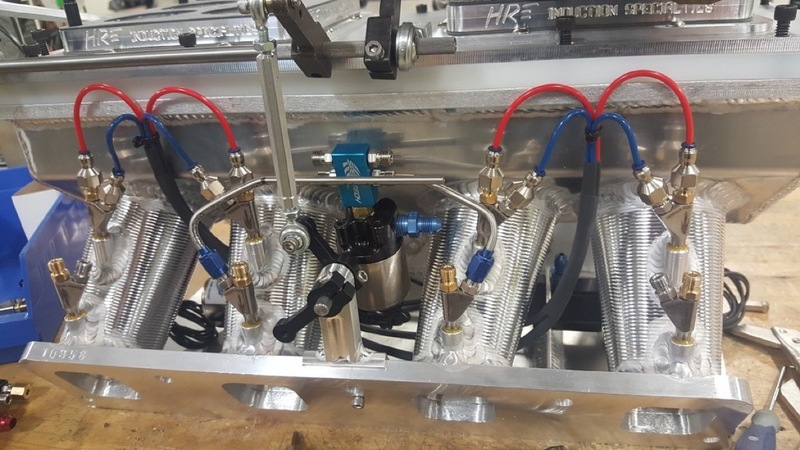 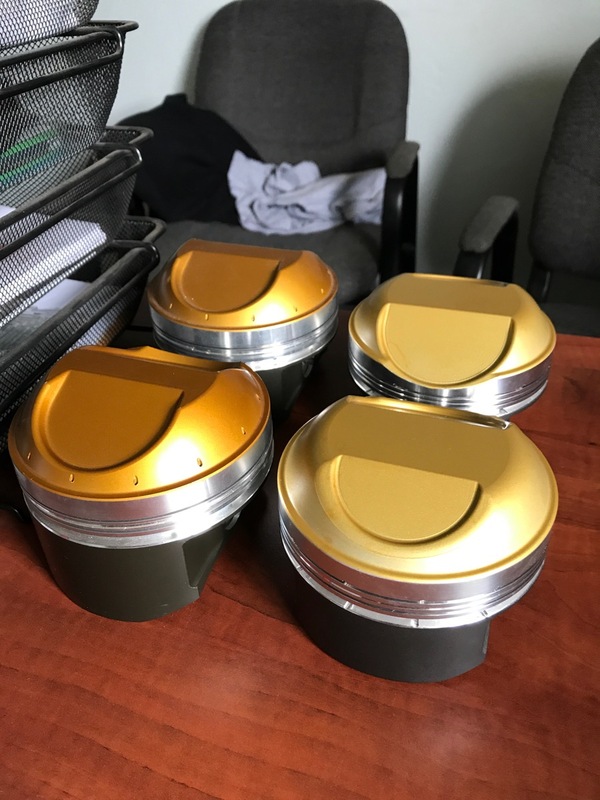 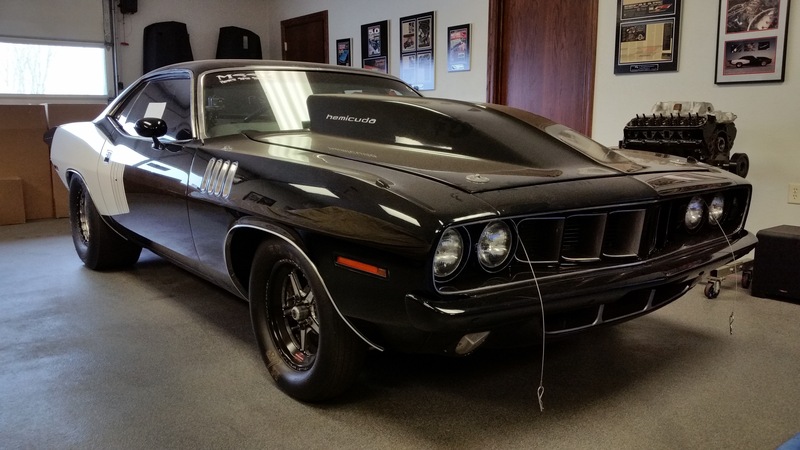 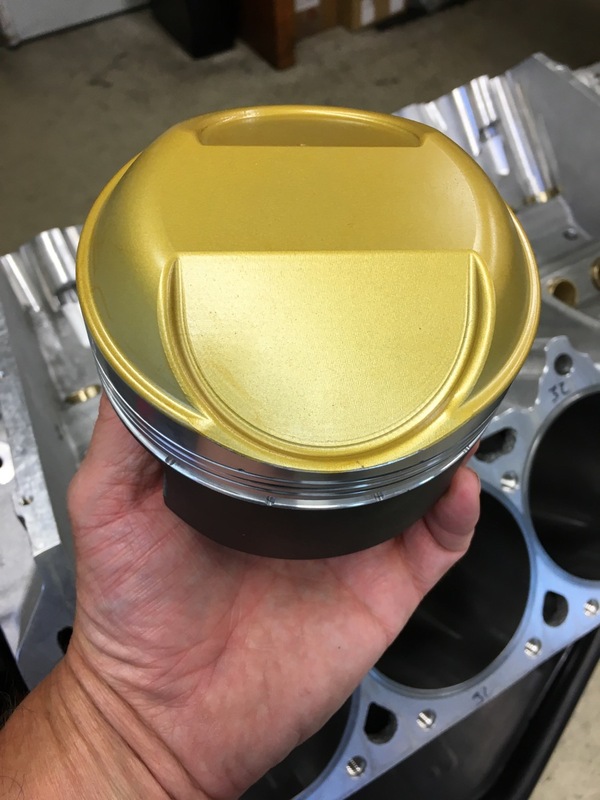 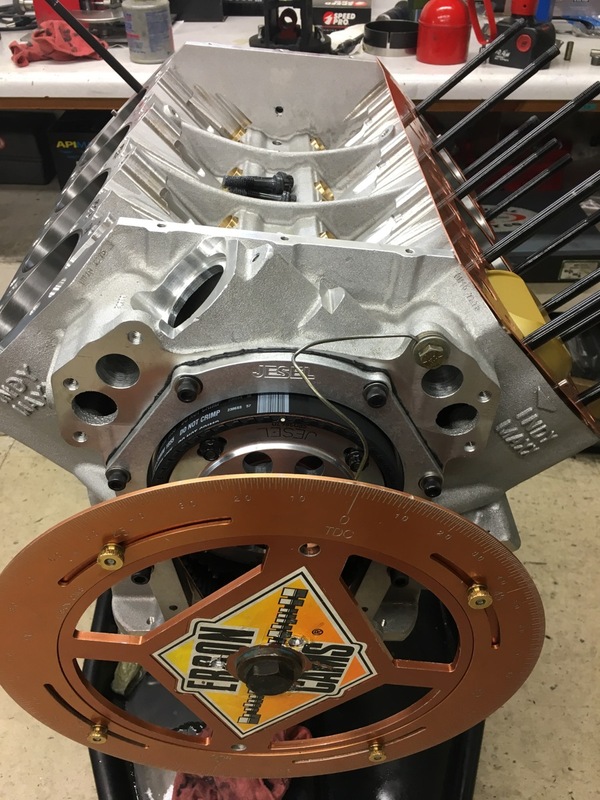 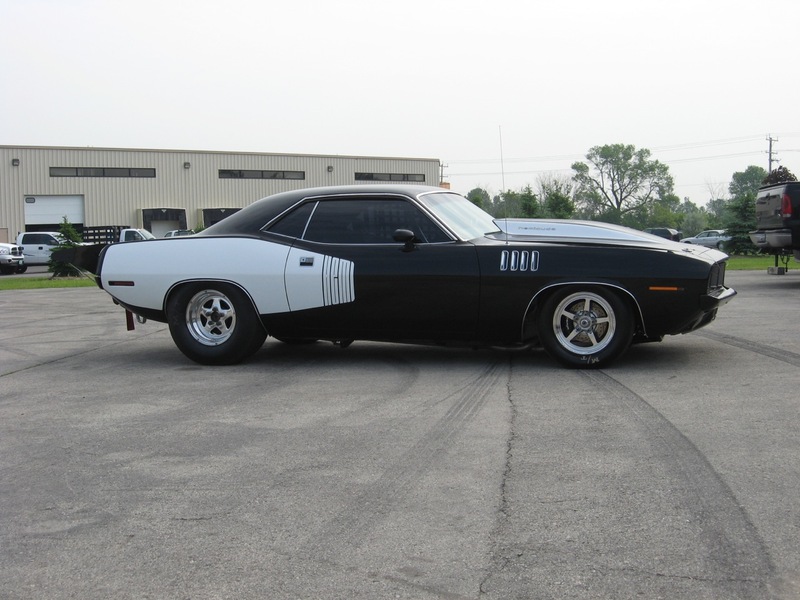 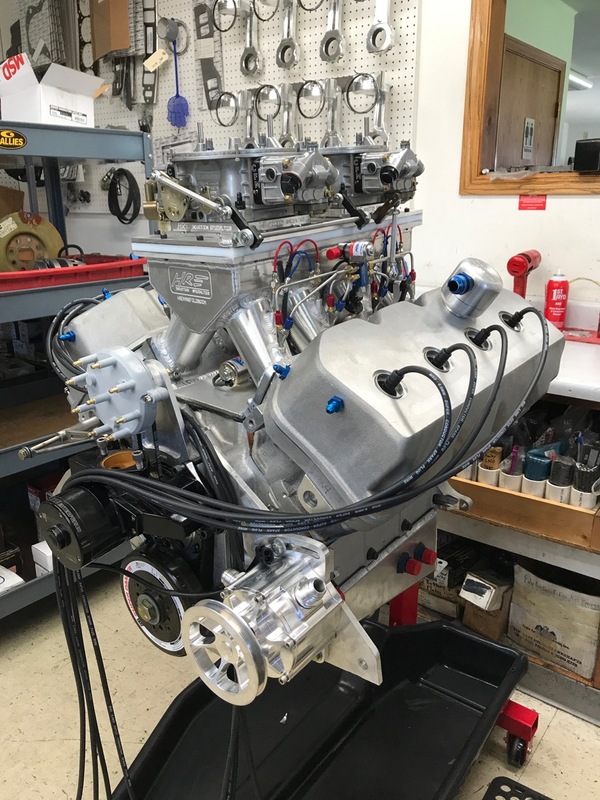 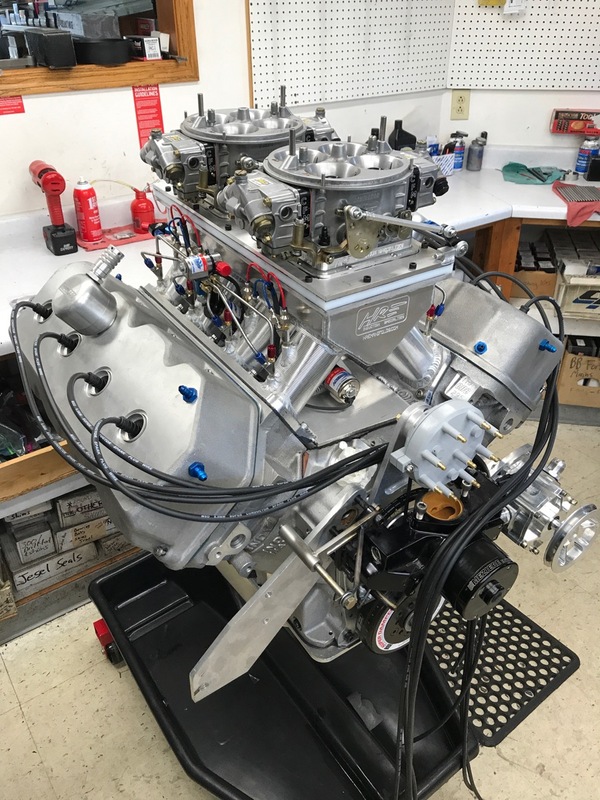 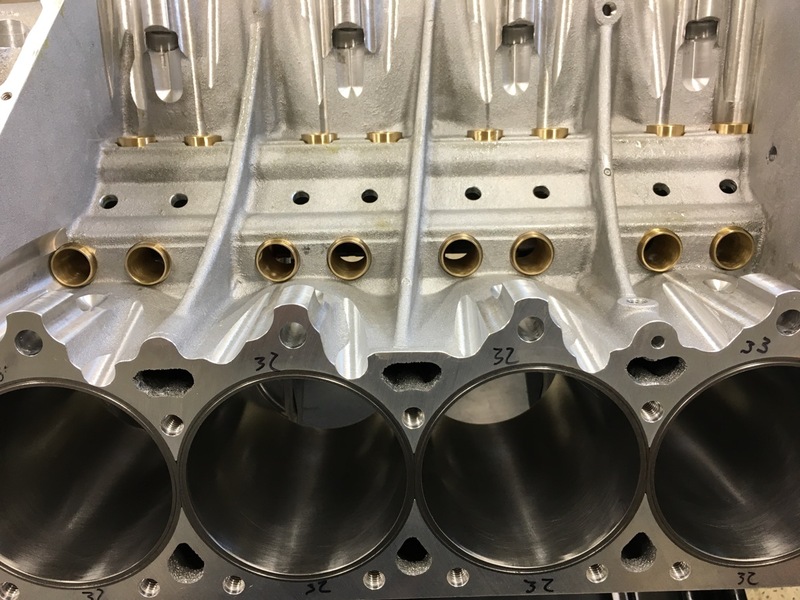 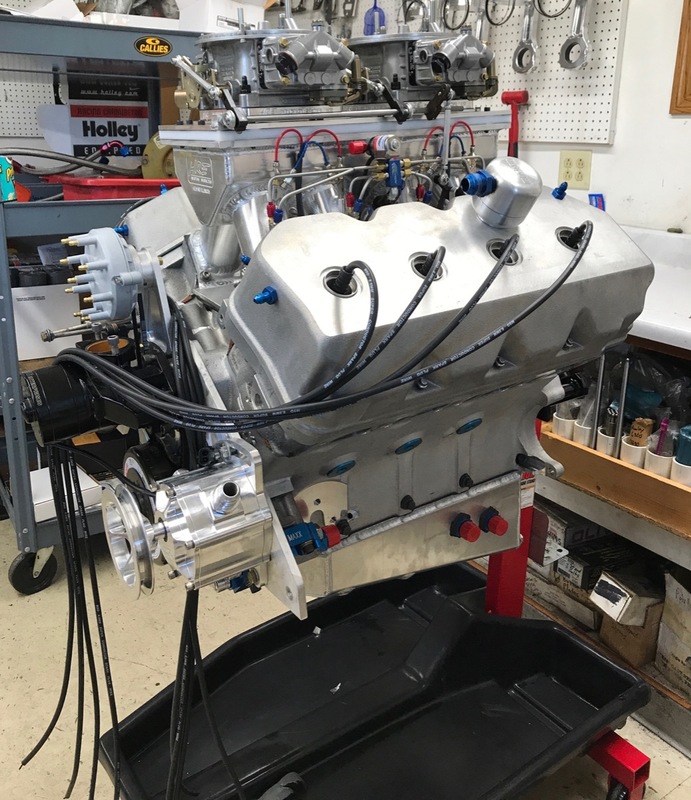 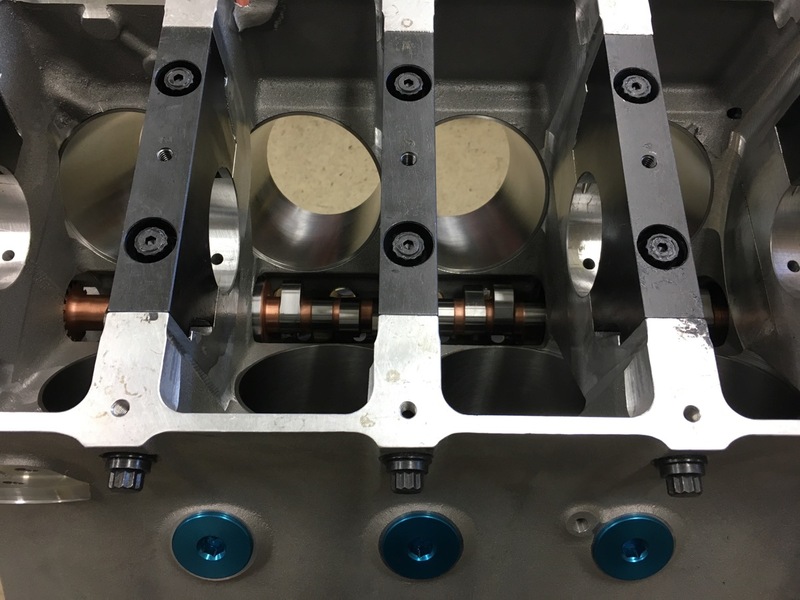 The cuda is getting a new Aluminum Hemi for the 2018 season.